November is Native American Heritage Month, also commonly known as American Indian and Alaska Native Heritage Month. The month is dedicated to celebrating the vibrant traditions, diverse cultures and often overlooked histories of Native people. And like with many other months devoted to celebrating different communities, Native American Heritage Month is an ideal time to not only celebrate, but also to educate. The month provides an opportunity to raise awareness about tribes, the challenges that Native people have faced throughout history (and still encounter today) and how they work to overcome them. Native Americans have a rich history in Philadelphia and the surrounding region, including parts of New Jersey and New York. Philadelphia was home to the Lenni-Lenape Indians (later renamed Delaware Indians) for thousands of years before Europeans came to America. The history of Philadelphia makes the city a fitting place to celebrate all of the contributions that Native people have made here and beyond. Below are the top Philly-based events that showcase the beauty, strength and contributions of Native People to the world. 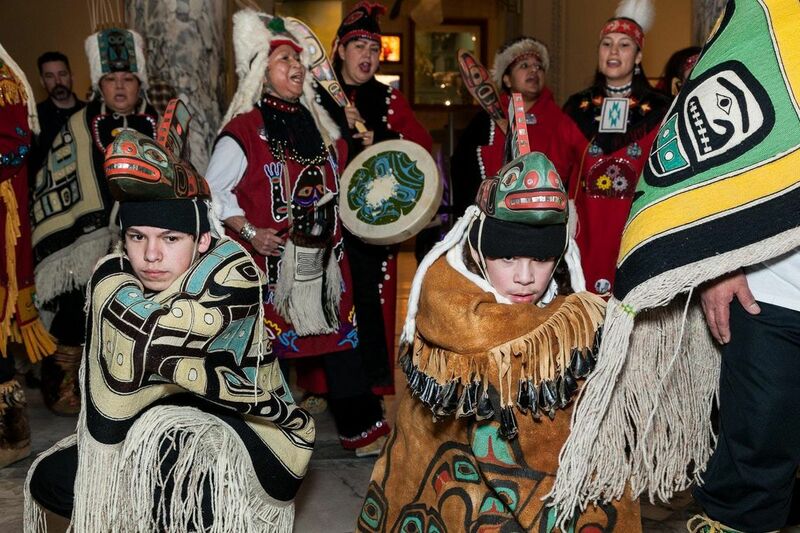 Let us know how you’re celebrating Native American Heritage Month on Facebook, Instagram and Twitter @Phillyfunguide! Repatriation of Native American cultural items involves complex issues of religion, property law, provenance, and indigenous rights. 3D digital replication of objects is emerging as an approach that allows museums and tribes to manage their interests, which sometimes conflict, and sometimes complement both educational and ceremonial goals. Born in Cornwall Ontario to bilingual parents, Toronto-based Melanie Brulée interweaves her native language into her art like she crisscrosses musical genres: with ease. From the first listen, you can hear how her years living in Australia and France have influenced her style and sound. This Thanksgiving-themed program for the young will emphasize an appreciation for Mother Earth and all her inhabitants, both plants and animals, and the interconnections between living things. Listen to a Native American story and learn about how they lived and what the first Thanksgiving feast may have been like. Make a craft to celebrate the season. Meet in the Salt Wing. Considered an expert in the field of Hawaiian music, Philadelphia native Bill Wynne will present a tribute to his Hawaiian music hero and mentor, Genoa Keawe, who would have turned 100 years old this year. The two-hour live concert – “Genoa Keawe: A Centennial Tribute to the First Lady of Hawaiian Music” – will take place Saturday, November 17th at 8pm at the 1867 Sanctuary in Ewing, NJ.